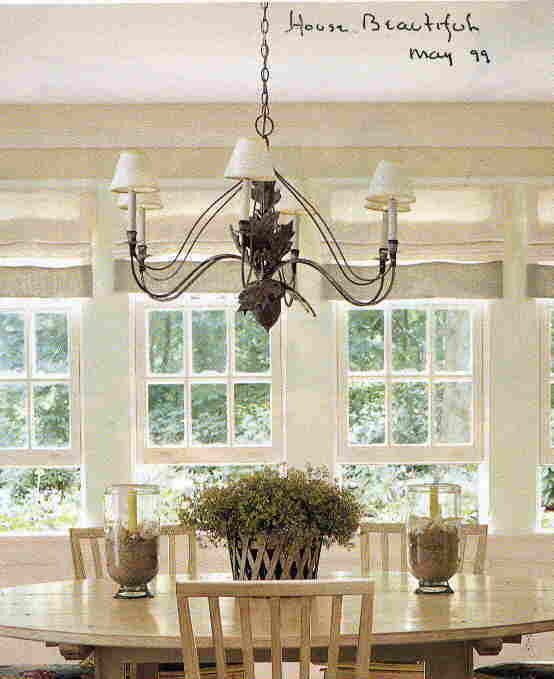 Description: Seen in Southern Accents Magazine, Hampton Island showhouse, pg.222, December 2006. SMALL ACORN LEAF WITH WIRE, 6 LIGHT. Takes 60 watt bulbs and has drip candle covers. Resin &steel. Shades extra.